It was whilst running a food and drink shop in Wadebridge that Andy Soden first felt the desire to start manufacturing his own products. 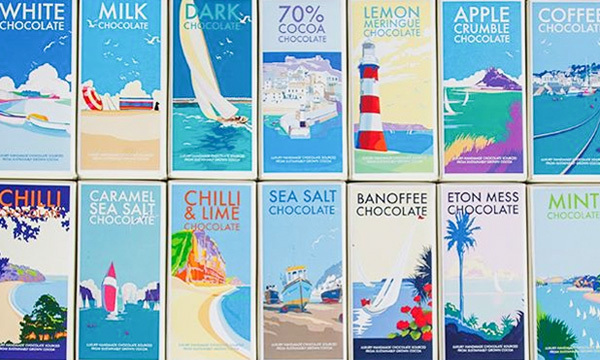 In early 2005 he heard that a local chocolate company was for sale, jumping at the opportunity, Andy made them an offer and Kernow Confectionery was born. Over the next nine years Kernow Confectionery built up an impressive client list that included The National Trust, Eden Project and Longleat Safari Park, but in order to grow, they needed to relocate to new premises and upgrade their manufacturing facilities. They were referred to the GetSet for Growth service in March 2014 by Natwest Business Relationship Manager, Darren Lewarne. GetSet helped Andy prepare a comprehensive business plan in order to access the necessary finance, as well as signposting alternative funding streams to supplement bank finance. A GetSet Sales and Marketing Specialist then spoke to Andy about his marketing strategy. With a busy business Andy confessed that he had struggled to make time to implement a formal marketing plan. Andy met 1:1 with the Advisor and discussed how Kernow Confectionary could minimise marketing spend whilst maximising impact, this would be key to the successful growth of the business. Having successfully secured the necessary finance Kernow Confectionery will imminently be moving into their new premises; allowing them to increase production in line with current and future product demand. They are also in the process of rolling out a new retail range and have the ambitious goal of becoming the market leader in the South West within the next 5 years.